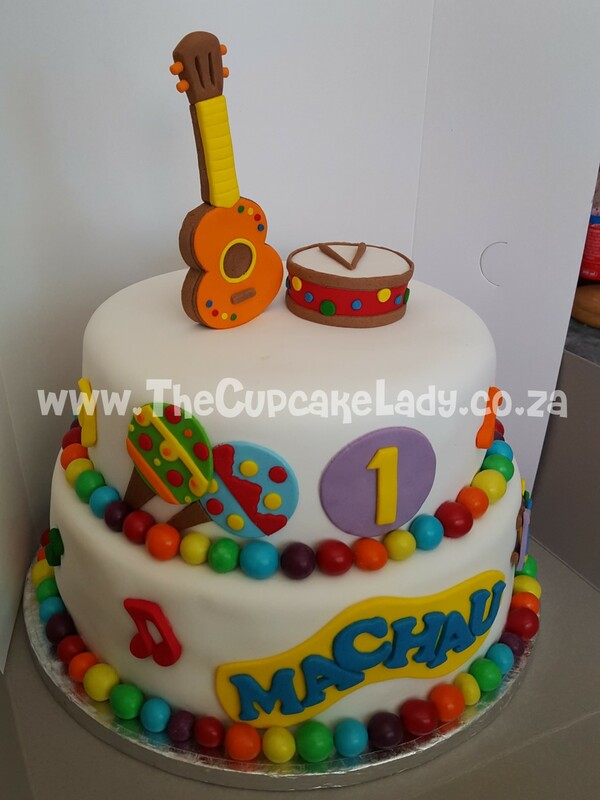 Melita ordered this cake for her son’s birthday party, and I had great fun with all the colours! 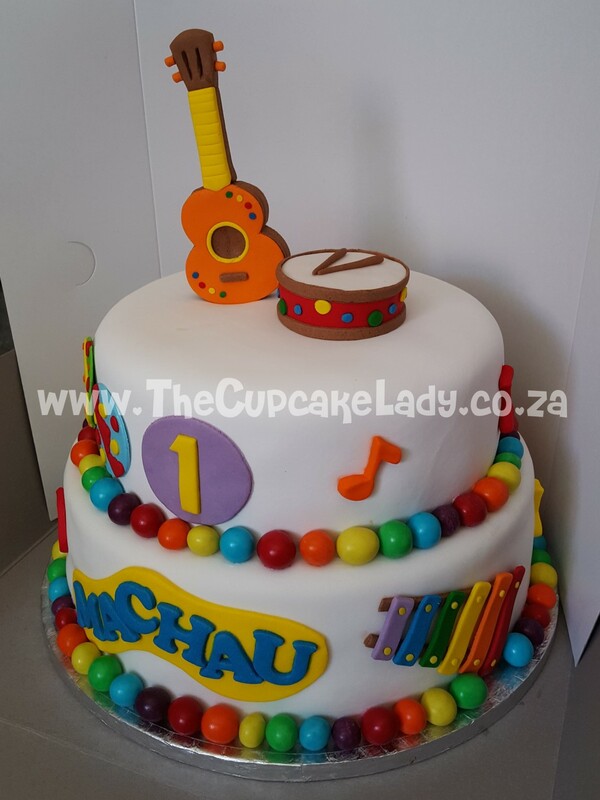 The guitar and drum on the top are hand made by me, in sugar paste, and the sides of the cake are decorated with sugar paste music notes, the birthday boy’s name and age, a pair of shakers and a xylophone – also made by me. Initially, the cakes borders were supposed to be done with gumballs, but I couldn’t find any that were nicely coloured, let alone the right size. I opted instead for a candy-coated chocolate ball with a biscuit centre, and it worked beautifully! The cake design was not my concept – Melita sent me a picture Kara’s Party Ideas.